The scientific revolution began in the 16th century when a brilliant Astrologist ,scientist and Mathematician began writing books About the concept of a heliocentric solar system which states that the sun is the center of the solar system, and the earth revolves around it. 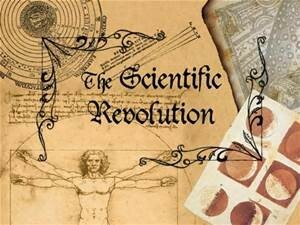 The scientific revolution had a major impact on the world because it shapes the way we do things today. Without the occurrence of the scientific revolution we would not have the same technology and understanding of the world as we do today! Francis Bacon is know for discovering the scientific method, whereby the laws of science are discovered by gathering and analyzing data from experiments and observations, rather than by using logic-based argument.Bacon produced a large body of scientific work. His science produced no world-changing results, but his guidelines for how science should be carried out did! Francis Bacon was born on January 22, 1561 and died on April 09, 1626 . Francis Bacon layed down the blueprints of science and was one of the most important people in the scientific revolution. Isaac Newton... perhaps the greatest physicist who has ever lived because of his discovery of calculus, gravity, optics and the behavior of light to name a few. Isaac Newton was born on December 25, 1642 and perished on March 20, 1726. Isaac Newton played probley the biggest role in the scientific revolution because he discovered ideas that if he didn't wouldn't be discovered until many ,many years later. Nicholas Copernicus was a brilliant astrologist who came up with the idea of a heliocentric solar systems. Which means that the earth revolves around the sun. Copernicus set the pathway to modern astrology because of this discovery. Copernicus lived from Feb 19, 1473 - May 24, 1543 . Italian natural philosopher, astronomer, and mathematician who made fundamental contributions to the sciences of motion, astrology, and to the development of the scientific method. His formulation of inertia, the law of falling bodies, and parabolic trajectories marked the beginning of a fundamental change in the study of motion. His insistence that the book of nature was written in the language of mathematics changed natural philosophy from a verbal, qualitative account to a mathematical one in which experimentation became a recognized method for discovering the facts of nature. Finally, his discoveries with the telescope revolutionized astronomy and paved the way for the acceptance of the Copernican heliocentric theory. Galileo lived from Feb 15, 1564 - Jan 08, 1642 .
a key figure in the scientific revolution, was a German Lutheran, a mathematician, astrologer, astronomer, and a professionally trained theologian. As a Pythagorean mystic, he thought of the universe as founded on mathematical relationships and forming an integrated whole. Thus, he applied terrestrial physics to celestial bodies. Kepler lived from December 27, 1571 – November 15, 1630. William Harvey was an English physician who made seminal contributions in anatomy and physiology. He was the first known to describe completely and in detail the systemic circulation and properties of blood being pumped to the brain and body by the heart, though earlier writers, such as Jacques Dubois, had provided precursors of the theory. He was born on Apr 01, 1578 , and died on Jun 03, 1657 . Andreas Vesalius was an anatomist, physician, and author of one of the most influential books on human anatomy. Vesalius is often referred to as the founder of modern human anatomy. He was professor at the University of Padua and later became Imperial physician at the court of Emperor Charles V. He was born on Dec 31, 1514 , and died on Oct 15, 1564 . Robert Boyle put chemistry on a firm scientific footing, transforming it from a field bogged down in alchemy and mysticism into one based on measurement. He defined elements, compounds and mixtures and he coined the new term ‘chemical analysis,’ a field in which he made several powerful contributions.He discovered Boyle’s Law which is the first of the gas laws relating the pressure of a gas to its volume. He established that electrical forces are transmitted through a vacuum, but sound is not; and he also stated that the movement of particles is responsible for heat. He was the first person to write specific experimental guidance for other scientists, telling them the importance of achieving reliable, repeatable results. He lived from Jan 25, 1627 - Dec 31, 1691 . These are some of the brilliant minds that helped carve the way we see and use science today. Because of them we are able to live the lives we do today. 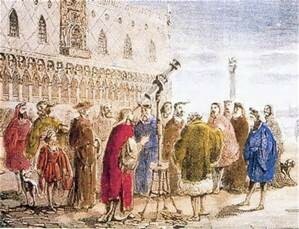 The Scientific Revolution was a pivotal point in history because of the many different scientific ideas and creations that where brought up by these highly intelligent minds. I have enjoyed being able to study and learn about the scientific revolution because it is interesting to look at how all the things we do and know today are traced back to these human beings during time periods long ago.